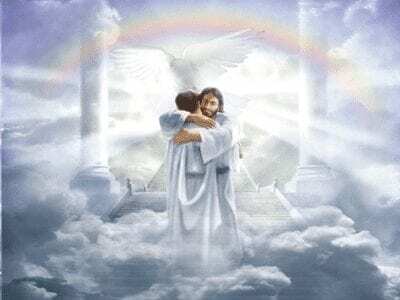 Will Christians really live in heaven forever? This answer leaves room for much speculation, but the general idea of floating around somewhere forever does, for most people, introduce at least the possibility of eventual, and eternal, boredom. Wait a minute, we should be able to figure out at least something about what everlasting life will be like just by putting together a couple of basic biblical truths. First, God is love. Second, God created people. So, whatever people really enjoy is probably what we’ll be doing. Why would a loving God make this life so diversified, so potentially meaningful and enjoyable, and then make everlasting life anything less? So then where did this idea come from? Not from the book of Genesis, which is fairly foundational. If Adam and Eve had not disobeyed God, they would have lived forever on a perfect earth because that was God’s original intent. The whole Bible can be summed up as the story of two men, the First Adam (Adam) and the Last Adam (Jesus Christ). In regard to Paradise, which biblically is always a place on earth, not in heaven, the First Adam trashed it and the Last Adam will restore it. The Lord Jesus will rule this earth (renovated after the Tribulation) for 1000 years, and that is where Moses, the Apostle Paul, and you will be. Then the Lord will create a new earth, where all believers from all time will live — forever. Going from spiritual darkness to spiritual light is an exciting journey, and, because knowing “…the truth will make you free,” it is also one that leads to an enhanced quality of life. Our website contains more information about this topic, including where the erroneous idea of living forever in heaven came from, an overview of end times chronology, the “Rapture,” the various judgments that will include all people who have ever lived, Armageddon (we win! ), each Christian’s rewards in the Millennial Kingdom and in the Everlasting Kingdom (and the difference between the two), why believers will inherit a highly-renovated earth (not clouds and sky), what it will be like, and some of the things we will do there. To the degree that we understand these marvelous truths, we can live with an effervescence that bubbles up from a fountain of hope within us, the hope of living forever in a perfect world with God, the Lord Jesus and all believers of all time. God is love, and He never intended for the world to be in the sorry state it is today. In the hope He has given us, we have His guarantee that via His Son, Jesus Christ, He will restore Paradise and all its goodness for us to enjoy forever. See you there!